Can I apply in my state? I have a license, now what? The following states introduced legislation to allow qualified patients to possess and consume cannabidiol, a marijuana derivative. Georgia – Governor Brian Kemp has voiced his openness to the medical marijuana bill making its way through the ...For information on this state update, subscribe to our Marijuana Weekly Updates. The following states introduced legislation to allow qualified patients to possess and consume medical marijuana. Arizona – Harvest Inc. of Tempe, Arizona has agreed to acquire its largest competitor, Verano, in an all-stock deal valued at around ...For information on this state update, subscribe to our Marijuana Weekly Updates. 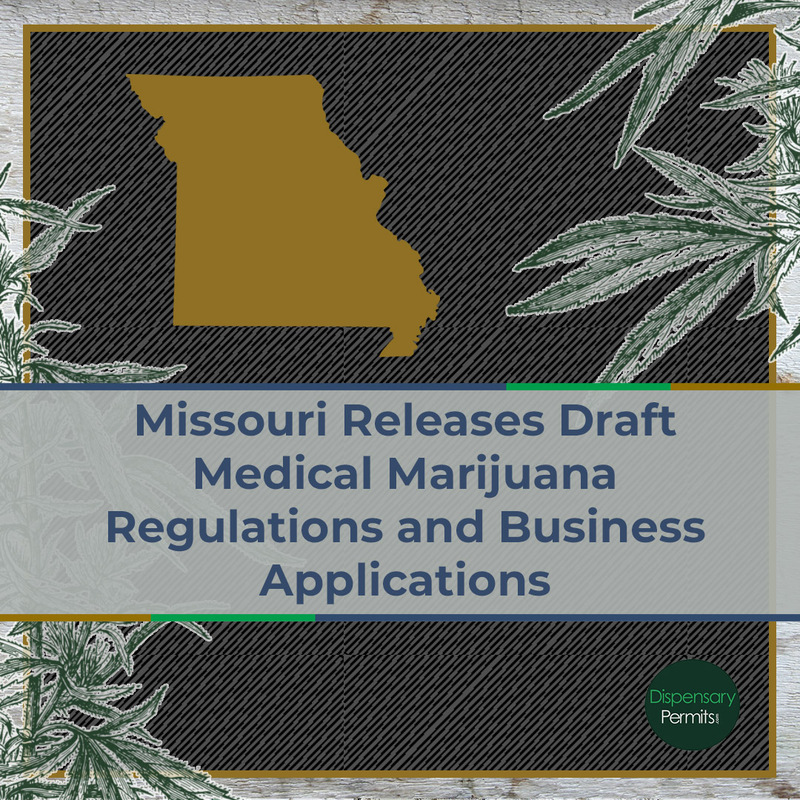 Arkansas – Arkansas regulators recently approved a second cultivation facility and said they expect to start final ...For information on this state update, subscribe to our Marijuana Weekly Updates. 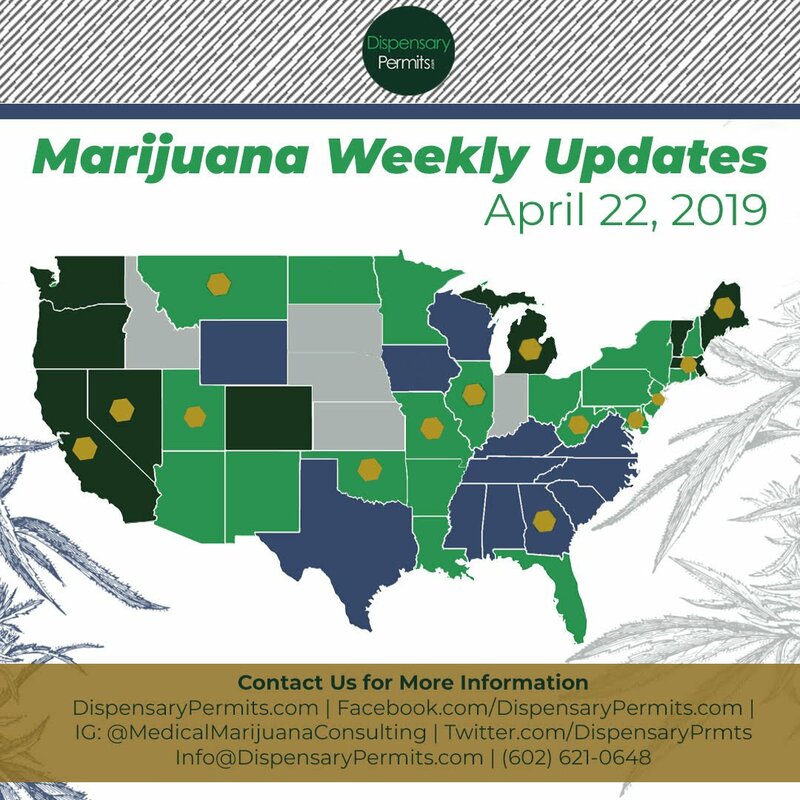 Connecticut – Legislative committee leaders in Connecticut announced a new plan to legalize recreational marijuana in ...For information on this state update, subscribe to our Marijuana Weekly Updates. Florida – The Florida House approved Senate Bill 182 to repeal the state’s ban on smokable medical marijuana. The bill ...For information on this state update, subscribe to our Marijuana Weekly Updates. Hawaii – Out-of-state medical marijuana patients who visit Hawaii can now obtain medical marijuana during their stay. 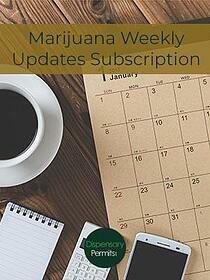 The ...For information on this state update, subscribe to our Marijuana Weekly Updates. Maryland – A new bill being considered before the Maryland Senate calls for removing Maryland’s limit of one dispensary ...For information on this state update, subscribe to our Marijuana Weekly Updates. Minnesota – A Minnesota Senate committee recently rejected Senate Bill 619 to legalize recreational marijuana ...For information on this state update, subscribe to our Marijuana Weekly Updates. New Jersey – The Assembly Appropriations and Senate Judiciary Committees will hear bills on marijuana legalization, medical ...For information on this state update, subscribe to our Marijuana Weekly Updates. 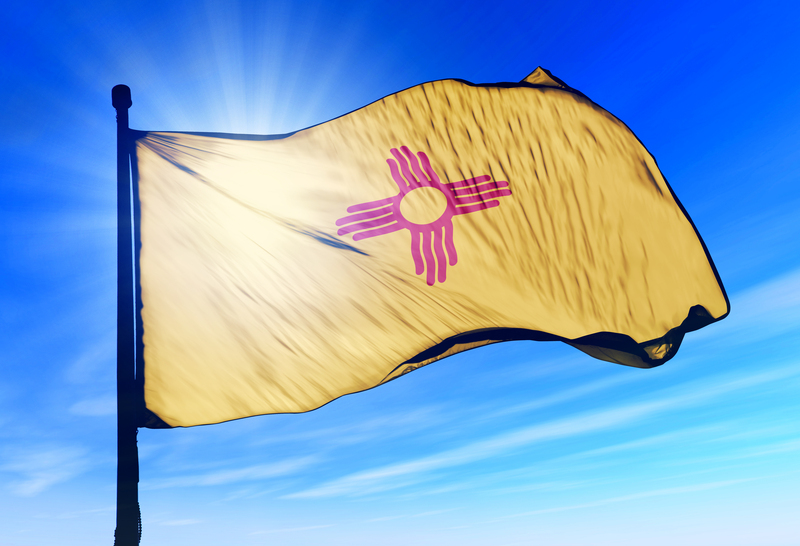 New Mexico – Senate Bill 323, a bill to decriminalize marijuana possession in New Mexico, has been approved in both chambers ...For information on this state update, subscribe to our Marijuana Weekly Updates. New York – Both the New York Senate and Assembly included marijuana legalization language in annual budget legislation ...For information on this state update, subscribe to our Marijuana Weekly Updates. 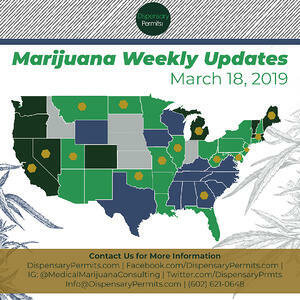 Oklahoma – On March 14, 2019, Governor Kevin Stitt signed the Unity Bill into law, a bill to provide an extensive ...For information on this state update, subscribe to our Marijuana Weekly Updates. The following states introduced legislation to allow individuals 21 years of age and older to possess and consume marijuana. Alaska – Alaska’s Lieutenant Governor Kevin Meyer signed into law rules to allow on-site consumption of marijuana ...For information on this state update, subscribe to our Marijuana Weekly Updates. California – Thousands of temporary business licenses will likely expire well before the state finishes processing annual ...For information on this state update, subscribe to our Marijuana Weekly Updates. Colorado – The recently introduced House Bill 19-1234 proposes a marijuana delivery system that would allow transporters ...For information on this state update, subscribe to our Marijuana Weekly Updates. 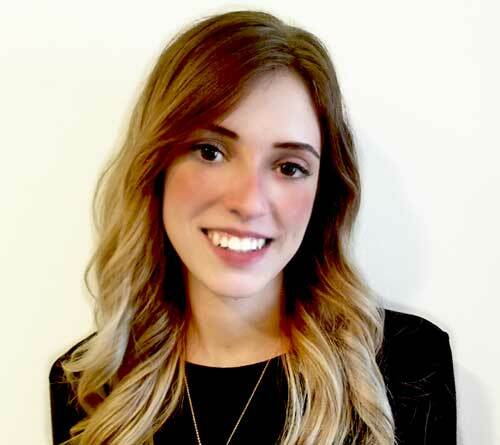 Michigan – Michigan regulators announced that they’ve selected 57 individuals to participate in work groups that will ...For information on this state update, subscribe to our Marijuana Weekly Updates. Stay Updated On Marijuana Industry News, Legislation, And Business Opportunities Across The United States With Our Marijuana Weekly Updates Subscription.